Myne Whitman Writes: Could this be love? .....by Cerebrally Busy. Could this be love? .....by Cerebrally Busy. Iphey got out of her car as fast as she could and hurried up the steps of General Hospital Ikeja. In the corridor beyond the nurse’s station, she saw was a slightly harried, fifty-something year old woman with an arm around a sobbing younger woman. Her heart rose into her throat. It was her mother and sister. Something really was wrong…her nephew had crises all the time…but this time was different. Her sister had a strange…aura around her. She was crying like there was no tomorrow, like all hope was lost. Iphey swallowed. She didn't know how to deal with grief. Her legs suddenly felt like lead, but she managed to lift them one after the other, each step filled with dread. "Mum…Ngoo, what did they say?" she asked, dreading the answer. Her sister looked over and the despair in her eyes cracked Iphey's heart. She reached for her. "Iphey…Iphey…my baby, the doctors…said…he's going to…die," her voice broke on the last word. "Iphey, what will I do…he's my life…" she sobbed "my life…"
She clung like a leech and Iphey could do nothing but cry too and murmur useless soothing words. When she could finally get up, she handed her purse to her mother and went into Obi's ward. He was sleeping so peacefully, but there were so many tubes...It should be illegal for so many tubes to be attached to one small child, Iphey thought angrily, what kind of world is this, where the young die and leave the old? Minutes passed…or was it hours?? Her mother came in and hugged her, offering wordless support. They stood like that for a long time, looking at the boy beneath the sheets, each thinking their own thoughts. "One Chinedu called," her mother said. Iphey looked at her mother in shock. "Who?" "Chinedu. The same number called so many times, I decided to pick it. Who is he?" She pulled out of her mother's embrace. “Just someone I met some days ago…"
"Anything I should know about?" Should I tell her? Iphey wondered. No, she decided as she put on a smile that didn’t quite reach her eyes. “Not yet mum, I’ll let you know if there is." "You know I want you to settle down soon right?" Iphey stared. Trust her mother to make all the arrangements. Iphey hugged her without a word and said goodbye to her sister who came back in then. As she drove home, she became depressed and the tears brimmed over again. Her mother had called after her earlier phone conversation with Aisha. When she had not heard from Iphey, her mother had flown in from Port Harcourt to be with her sister in the hospital. Iphey had gone straight over totally ashamed of herself. She had assumed her sister and nephew were back home. She now thought of all Ngozi had been through. First with her husband's mysterious disappearance, and now her son, Obi, was about to die. She prayed that by some miracle, the little boy pulled through this. In her street, she noticed a car parked beside the gate and wondered who it could be. Could it be him? The headlights shone brightly on the figure leaning against the wall. It was Chinedu. Her heart gave a very uncomfortable lurch that had nothing at all to do with her family. She frowned and got out of the car, she really didn’t need any distraction right now. 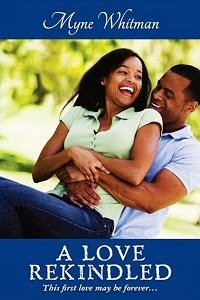 All she wanted was to crawl into her bed and cry her eyes out, for Ngozi and for Obi. She hoped a brusque dismissal would get him off her case. "Aisha called me after you both spoke earlier…" he trailed off at the sight of her tears. “Your mother told me about your sister and nephew. Is it very bad…"
“Can I just go in please?" She tried to move away. Don’t be nice please, she inwardly pleaded. I can't take it if you're nice. To her utmost horror she began to sob. The sound grabbed his heart and squeezed. He pulled her into his arms while she wept it out. He gathered little from her unintelligible gabbles, but it saddened him the more. He pried the keys from her fingers and opened the door, and then guided her over the threshold. "First you're going to sit down, and then I'm going to get you some water. Where's the kitchen?" "First door to the left," she sniffed. She loved being babied. He sat her on the couch then he removed her shoes and her jacket. He smiled at the way her eyes widened. "Don’t worry, that’s all." He could guess where her thoughts had gone. He gave her a wink that was absolutely charming…it had her staring stupidly at the door long after he had left the room. Good man, she mused. What could have possessed him to be an armed robber? She fell asleep with the barest hint of a smile on her lips and the slightest frown on her forehead. That was the exact expression Chinedu saw on her face when he came back out. He held the sweating glass in his hand as love budded in his heart for the girl who had fallen asleep with a stranger in her house. That is it folks. I have to confess I really loved this post. Now vote for the next chapter on the left side bar. Our contributor is CEREBRALLY BUSY. This is an excerpt from the last entry on her blog. She and her siblings stole. Not armed robbery ooo...LOL, meat from the cooking pot. "i was child-less for ten years, and all that time, while i was begging God for children, i didnt ask him to give me children who would be thieves, why are you doing this? don't i do enough for you? what have u asked for that i haven't given you?"